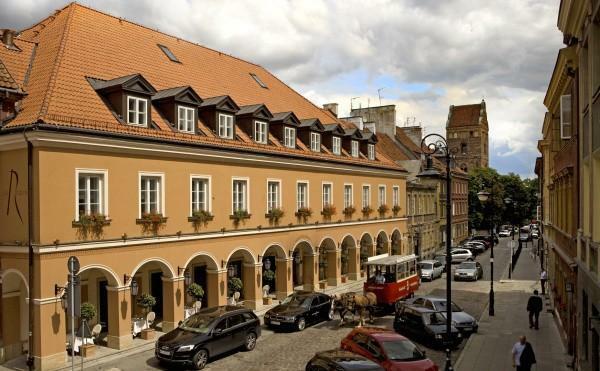 Mamaison Hotel Le Regina is situated in the New Town; a part of Warsaw's historical Old Town district. It happens to be the first, and only, hotel in this prestigious part of the city. There are numerous landmarks of historic importance in close proximity to the hotel, including The Royal Castle, The National Opera House, the Old Town Square and the Umschlagplatz. Very close to the hotel is a lovely park located on a scenic hill, overlooking the Vistula River. 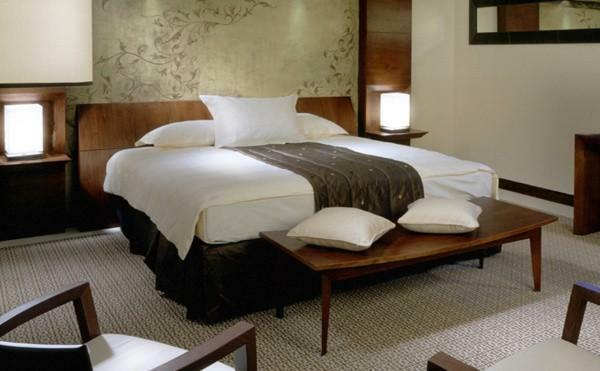 The hotel offers 26 Standard rooms in pleasant natural shades of brown and vanilla. All rooms are decorated with custom-made wood furniture of fine Italian artisanship. The bathrooms with a tub/shower as one unit are designed in a tasteful contemporary style, outfitted in pale sandstone and authentic Venetian mosaic. All rooms have portable phones with direct telephone lines, in-room safe, high speed and WIFI internet connection, individually controlled air conditioning and a satellite TV system with in-house movies. Our 26 Superior rooms are custom-designed and most of them are decorated with the enchanting hand-painted wall frescos. The Italian-made furniture with its satin covers and dark brown leather details adds a final note of aesthetic refinement, so that our guests may truly feel like they found a home away from home. 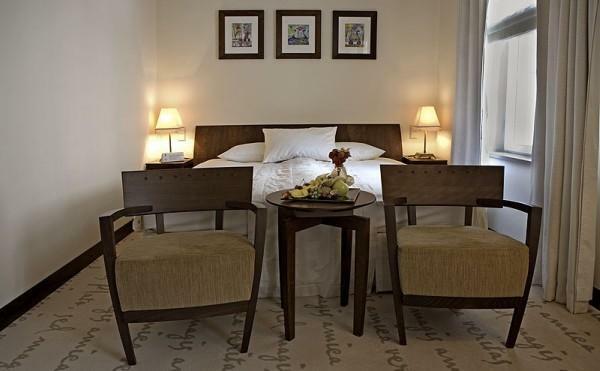 All rooms feature pleasing views of the nearby gardens and the Old Town's surrounding. Most of the bathrooms are equipped with a double vanity, some include separate restrooms. All rooms are soundproofed and equipped with modern facilities. All 6 Deluxe rooms are designed in a style that is easy on the eyes; clean-cut and contemporary. The pale sandstone accents and walnut carpentry are enlivened by the pastel colors of the frescos and the most sumptuous of fabrics. 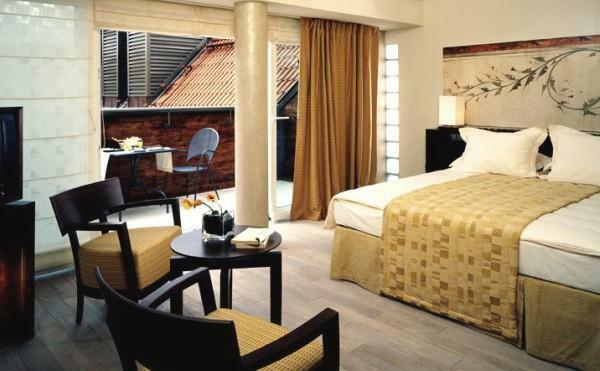 Discreetly located four roof Deluxe rooms with hardwood floors offer spacious terraces ideal for dining and relaxation. Two ground floor Deluxe rooms have their own private gardens. Modern equipment such as high-speed internet connection, in room safe and mini-bar offer first class accommodation. The well appointed suites, The Presidential and Le Regina, and the roof Penthouse are sure to appeal to business and leisure travelers alike. They are decorated and furnished individually with many details providing maximum comfort and privacy. 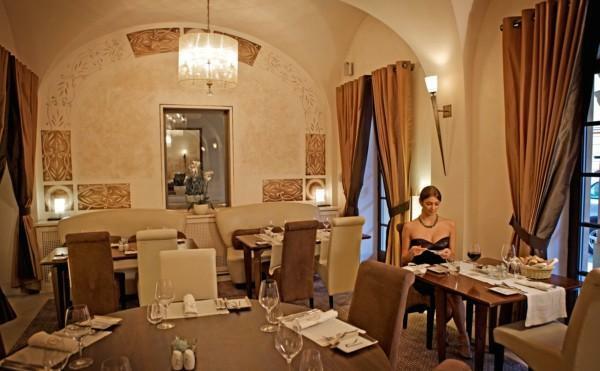 Elegant Italian-made furniture and luxurious, natural fabrics of draperies create unforgettable atmosphere. Both Le Regina and the Presidential suites are one or two bedrooms/two bathrooms apartments with spacious living rooms. The unique roof Penthouse will appeal to all admirers of modern architecture and interior design. All suites feature hardwood floors and are equipped with modern facilities. All guests setting their accounts by credit card may use the express check-out facility. Hotel limousine available for hotel guests' use i.e. airport pick up, transfers. Available daily except Sundays and Public Holidays. Two function rooms available for up to 100 participants. When you enter La Rotisserie, you will find yourself in an exceptional gallery of savory flavors and aromas. Our chef takes the freshest ingredients and blends them into perfect compositions by means of his culinary expertise, art of serving and elegance typical of classic French cuisine. The incredible palette of delectable dishes and desserts will appeal to the most sophisticated and discerning of gourmets. The connoisseurs will be further tempted to indulge their taste buds with our extensive collection of interesting wines, alcohols and liqueurs and a top selection of coffees, teas and cigars. The restaurant has a 30 guest's capacity and is open all week for breakfast, lunch and dinner. During summer it expands into our lovely courtyard. Our cozy lobby with its fireplace, sofas and coffee tables has a friendly, hospitable, peaceful atmosphere and doubles as a lounge. We invite you to relax, have a drink or two and think of it as your personal hideaway whenever you wish to escape the city's hectic pace.